Citizens Bank is a virtual British Columbia bank that is based in Canada and owned by the Vancouver City Credit Union also known as Vancity. The bank was founded in the year 1997 and has since then been offering business and personal banking services to its customers through the internet hence the term virtual. In 2009, the Citizens bank made an announcement that it would leave the personal banking market and focus their operations on foreign exchange services and visa card services. 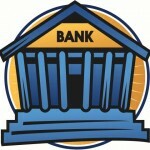 it has since become a non-deposit taking banking institution. The bank employs a total number of 380 employees and its headquarters are in Vancouver, British Columbia, Canada. There are currently 0 consumer reviews about Citizens Bank available. Share your review. Please take a note that you are about to post a public review about Citizens Bank corporate office on CorporateOffice.com. This review will be public, so please do not post any of your personal information on this website. If you would like to contact the corporate offices of Citizens Bank, please use their contact information such as their phone number, website, and address listed above to contact them. However, sometimes staff from Citizens Bank headquarters do read the reviews on this website.